Few things are more frustrating than shopping for bridesmaid dresses. Each bridesmaid has her own idea of what she wants to wear, and that often has little to do with the bride’s vision for her wedding. Ensuring that the dresses are seasonally appropriate presents additional difficulties, as the weather conditions and overall feel of a season can impose aesthetic elements on the wedding that the bride might not have anticipated when she booked her venue. 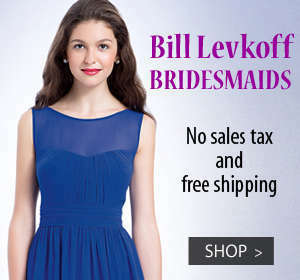 Here are some good tips for choosing bridesmaids dresses that suit the season. Lace bridesmaid dresses are always beautiful, but they always resonate a little bit more during the winter. The delicate gossamer designs in the lace can even mimic snowflakes, and the necessary slips and layers would not be uncomfortably warm. Vintage bridesmaid dresses in pale colors work well during the colder months because the color palettes are soft and muted. Light bridesmaid dresses might pale under the summer sun, but pastel or ivory hues tonally compliment the bride’s wedding dress in controlled winter lighting. Short bridesmaid dresses look wonderful in spring weddings. Shorter dresses are a great way to brighten up the bridesmaids’ style. 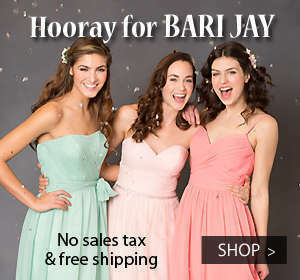 Cocktail or tea length bridesmaid gown feels fresh and works well with a seasonal wedding theme possibly more so than a long dress. Purple bridesmaid dresses are perfect for summer weddings. Bright jewel tones are youthful and just a touch casual. Purple has been the color most associated with royalty since the Roman Empire. Donning bridesmaids in a rich purple will help turn a bride’s fairytale into a reality. Full-length bridesmaid dresses look stylish with strapless necklines or have very thin straps, so they are great for fall weddings. Warm autumnal colors make bold statements on large swaths of fabric, and the length could easily become necessary as the night goes on and becomes cooler.